Organization is the key word of which to focus upon when planning a move. Take the time to make sure all packing supplies have been bought, rented, borrowed or found for free. There are professional packers who are willing to come to your place of residence to assist with the packing and offer advice to make moving house easier and better organized. Having packing services before moving day saves time, because when the team of man with van Soho arrive they will have the removal boxes with them in order to keep everything in order. If a choice has been made to use the packers and their packing services on a limited basis, it is best to research what the 5 packing supplies are that is needed when the decision has been made to move. First contact grocery stores or retail stores about saving small, medium and large boxes. Use packing tape for the boxes rather than the conventional tape used for presents during the holidays. The packing tape is wider and stronger to help keep the boxes secure during the move. After all, you do not want the contents of a box falling down on your feet during the move, right? A cheap way to get packing materials is looking for them in local markets. 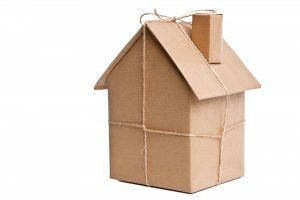 Cardboard boxes can be found almost anywhere and you can make use of them as if they were provided from the moving company. All you need to add to them is secure packaging. Make sure that you have enough tape and don’t forget the filling. Newspapers can easily replace packing peanuts, so go wild with that old pile in the cellar or attic you have been keeping. Next have measurements of the rooms in the new home, know where the doors, windows and outlets are located in order to be able to direct the house movers exactly where pieces of large furniture will fit. Write out an inventory either on paper, tablet, laptop computer and give a copy of the items to be moved to the packers or movers of whom are trustworthy. When buying the packing tape be sure to grab enough bubble wrap and several black felt marking pens. Put a variety of boxes in each room along with the bubble wrap, packing tape and black felt pens. Once the items in a particular room have been packed properly, tape the box shut and write on the outside of the box the room the items came from. This way if the items came from a child’s bedroom, write the child’s name on the box and also the word bedroom. Last of all start planning the move early, to avoid any unexpected events. What Should You Include In The Moving Checklist ? – Fragile objects. Mirrors, paintings, glass countertops or cups – they all are fragile objects that require special care when handling the removal boxes they’re placed in. That’s why you want to label all the boxes with these items with the “Fragile” label. Keep in mind that when including these objects in your checklist, a great idea is to make a completely different column only for these items. Treat them as a completely different part of your belongings. You can even make a completely new checklist if you are planning a house relocation with all the kitchen appliances, kitchen robots, electronic devices, flat screen TV, etc. They all are very fragile and delicate objects, and it would be safer it they are packed individually, handled individually and more carefully. – The heavy items may also be included in a different small checklist of their own or you may organize the checklist by starting with the biggest items, which usually are the heaviest ones. 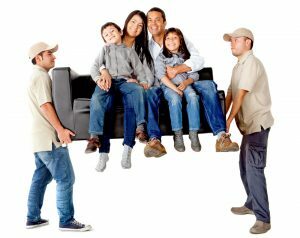 They require heavy lifting and the strongest family members should be informed in advance about the heavy items that they should handle. Supply your helpers with gloves for heavy lifting and heavy-duty handling straps, while, in the checklist, you can include the approximate weight and size of every big object in the description column. – The small accessories and the smallest items should also take a special place in your checklist for domestic removals. These are the tiny little objects, which can easily be lost somewhere within the boxes, as well as being not that easy to find when unpacking your possessions in the new house. A useful tip is to make different columns in your checklist for the different rooms, where these small items belong. Use only small boxes, where the small items can fit properly. – The dismantled furniture may look quite heavy and difficult to lift and handle, but dismantling is the best way to ensure their safety and yet use less of the valuable storage space in the moving van. Not all the furnishings can be dismantled. A small separate column for the dismantled ones should be enough for the movers to decide whether to handle these heavy items first or to leave them for last. – When organising your checklist, organise it by rooms or in a mixed layout. The rooms’ organisation is often the preferred choice if you are moving out of a huge two- or three-storey house with plenty of rooms. Then, the first column of the checklist should contain the name of every room, while the second column should contain only the objects from this room. Begin with the sorting and arrangement of the small furnishings quite before the moving day, for example a month or even more. It will give you enough time to dismantle and protect well the furnishings, but that`s only a hint of what`s to come. Choosing the most appropriate packing solutions and protective wraps for your belongings is the most essential step when moving house. Check out some other great tips and hints! 1 – Sort the small objects by some criteria, even when it comes to the smallest furniture or kitchen equipment, or small electronic devices. From wooden chairs to the dining table – there are plenty of objects, for which you should take good care. When everything is sorted by size, color, type of furniture or maybe by room, then you could better choose the packing materials. Not to mention the ease of handling and unloading in the new house or the easy orientation about what`s inside the box. 2 – Protect the flat furnishings with edge protectors.From paintings with wooden frames, to small wooden shelves and doors of cabinets – the flat surfaces have much more vulnerable edges, than a big soft couch. The edge protectors from rubber or plastic are very useful to prevent any damages from unwanted hits, scratches or even drops. 3 – Get yourself only heavy-duty cardboard boxes when you plan to dismantle small furniture. The two- or three-ply cardboard boxes provide enough strength to handle even a huge dismantled table that weight as much as several chairs. There are boxes with even sturdier bottom parts from plastic or maybe from more cardboard plies, which ensures a safe lifting of even heavier objects. You can even pack two or three small chairs in one single box, because let`s face it – it`s much easier to handle and lift boxes instead of numerous individual objects. 4 – Try to dismantle the furnishings even when they are very small like kitchen cabinets, decorative shelves, chairs or the library. Dismantling saves plenty of valuable space by making the handling much easier in the meantime. It will take quite some time to dismantle and reassemble, but it is definitely worth it. 5 – Bubble wraps are another great solution that protects your items in the boxes. The best thing is that the bubble wraps protect your items in the best way during the trip by absorbing all the vibrations from the road. Bubble wraps are strongly recommended for wrapping every piece of small furniture before packing in boxes. 6 – Try to center the weight of the boxes when packing furniture. Lower the gravity point of each box too by putting the heaviest objects on the bottom of the box. One it will make the handling and lifting of the heavy boxes easier, and two – it will make the boxes much more stable during the trip. 7 – Label each box as some sort of a final wrap. Of course, the labels can be much smaller or just enough to provide easier orientation about that`s inside the box. Use contrasting labels for an even easier orientation and synchronize the labels with the removal checklist. Another great tip is to use heavy-duty tape to secure the objects and for quick labeling at once. Moving house is never easy – we need to plan the whole process, there are plenty of things to purchase and we even end up paying additional fees for all sorts of issues during the moving day. To top that up, moving is not always our own choice. Many people need to downsize, i.e. move to a smaller place. The reasons are various – they can’t afford the pay their current rent, their children have moved out, or they can’t pay the taxes or maintenance fees of a big house. Whatever the reason, downsizing can be a true nightmare for every family. When you’ve been living for a few years in a place which could accommodate all your belongings easily, you tend to get attached to things and keep them for years. You don’t even sit and ask yourself: Do I need this? When you have all the space you need, you simply buy and store more. In order to move to a smaller place there is a lot of planning and thinking to be done. If you live alone, this should be an easier task, but if you need to explain the situation to children too, it can be a bit harder. The first thing to do is have the exact layout of your new house or flat, with all the measurements and details. This is a must when you start planning what you can afford to move and what you need to replace or simply leave behind. It’s best to deal room by room and you will quickly see how much easier the process gets. Go to the kitchen and take the inventory, then compare the sizes of your current kitchen and the new one? Do you see much difference? Would there be space for a big table and four chairs? If not, then you need to consider your options. Maybe your family can only eat in the living room, or you can buy a small kitchen table, if you think that you can’t go without one. Continue with the living room – if you are downsizing then your future living room will probably be much smaller. Think of the positioning of the bigger pieces: sofa, armchairs, cupboards, TV. If you need to downsize the cupboard with shelves, maybe you will also need to give some of your books for storage. Try to be reasonable and realistic – even if you don’t want to part with your belongings, you will need to. Identify which items you can throw away straight away – old items, damaged and unwanted ones. It’s best to deal with these too before your proceed with things you really love and feel attached to. Moving from one place to another can prove to be a real challenge. This is why it is imperative, as well as, necessary to make sure to have a working checklist on moving in place. Having a moving checklist that works does permit one to be spot-on from a details aspect, and also, to be organized ahead of the move date that will actually happen. When a person is organized ahead of his or her move, it will make the entire move less stressful overall, and will have the individual prepared for the move as opposed to unprepared. 1. Inform your landlord, if you are renting, that you intend on moving. This news should be delivered in a detailed letter or some form of signed document at least six to eight weeks before your intended move date. This will give the landlord ample time to take photos of your rented apartment or house to list the property. This listing will attract new tenants right away. This step is something that can be disregarded by homeowners. However, it is advised to have all of your paperwork together from the sale of your home, and to keep everything organized in one safe place before you actually vacate the home before the owners arrive after your move. 2. Decide if your move will be something DIY or hire help to do the move. This is something that should take place, as far ahead of the move, as is possible. A six to eight week time frame is perfect to lay down the foundation for a move and specific moving date in mind. If hiring help is the way to go for a move, a moving company should be reserved, and the earlier the better on this for any intended move to occur. Make sure to research various moving companies and establish a moving budget. Set an exact moving date with your moving company of choice. 3. DE clutter everything before actually packing up for the move. It is highly recommended to look through all things closely, which will become part of the move, and the best way to de-clutter before packing is very clear. Go through everything and get rid of anything that isn’t really wanted or needed anymore. This is something that will get rid of all of the unnecessary or unwanted things. These unnecessary or unwanted things can be old clothes, furniture, toys, or whatever else. 4. Assemble a nice number of moving supplies and have them ready. These moving supplies can be boxes, packing tape, and other items that will assist in making the move all the more easier when having to pack everything.